I am stoked to bring you this recipe I made for my pregnant belly! It is intended primarily for pregnancy but is also totally usable for existing stretch marks, dry skin, and honestly can be applied over the body wherever you want to target, not just the belly. I've shared a few images of the finished product on my social media and a couple people have mentioned it looks good enough to eat! While it probably doesn't taste like the dessert it appears to be, it is absolutely edible. My goal when making homemade stuff that goes ON my body is to make sure it's safe enough to go IN my body. Why? Well, our pores are absorbent. Our skin is our largest organ and how we treat our skin can actually filter into and affect the rest of our bodily systems. And let's be honest - so often we end up accidentally licking some of the moisturizer off our lips that somehow wound up there. So the reality is our body absorbs and is exposed to whatever we put on it! So I try hard to pay attention to that and do my best in that area to keep what I put on my body safe to use internally as well. I am sure there are always exceptions, and one area if I am being honest that I've been ssslllloowwww to transition over is make-up. That's simply because it was so hard for me to find a make-up brand I trusted. 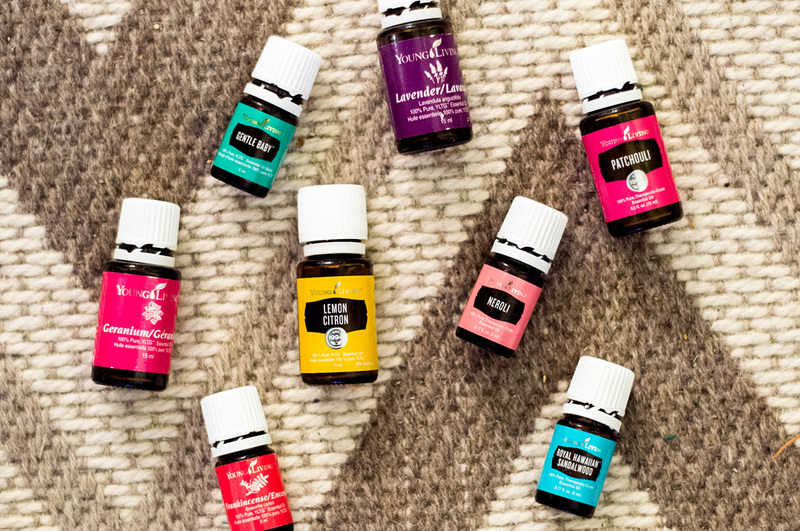 How often do you get stoked about some company claiming to be all natural and then you pull up the ingredients and see things like parfum/fragrance, petroleum, artificial dyes/colouring, and tons of other things you can't even pronounce!? Since greenwashing is sadly very prevalent, many companies enter the "natural" industry and the only green thing they care about is money. So it's been hard to find companies that pass through my research without giving me that pit feeling of "something is wrong". And when that happens, I am back at square one after wasting my precious money. We alllll know that all-natural make-up is not cheap. So that transition for me has been the hardest, and that's okay. One step at a time, as my regular products run out, I replace them with the better alternative and that way I am not breaking the bank. As a side note, I have found a cosmetic company I trust, and I don't get any kick backs by telling you this. Check out: https://ca.100percentpure.com/ I love their stuff so far and am really impressed by their ingredient list! Okay so on to this fabulous whipped belly rub! I made it of course since I am pregnant currently and my belly has really started itching and feeling very tight. I wanted something safe for baby while also working to aid my skin in stretching. I did a lot of research and came up with my own recipe based on some recommendations from other recipes I found that I then combined to suit my needs. So here's the 411 on why I picked these ingredients cause everything has a purpose or it doesn't belong! So there you have it! 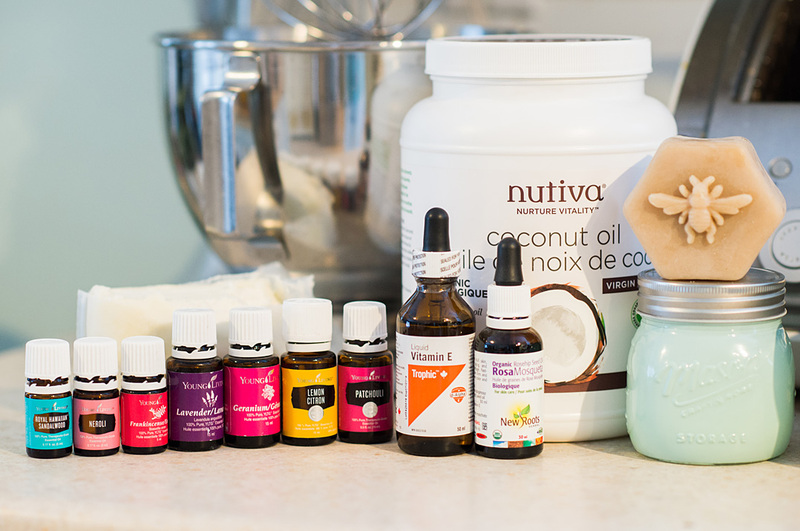 I personally chose these ingredients for myself because my stomach already feels incredibly tight and I already have a pre-existing tendency towards stretch marks. I also have surgery scars from my endometriosis surgery and as mentioned before, my skin has been itchy and bothering me. You can totally put together your own ingredients as this is a really easy recipe for you to alter to suit your needs! 1) Grab a small pot and a glass jar. Fill the pot about 1/3 of the way with water and bring it to a boil on the stove. 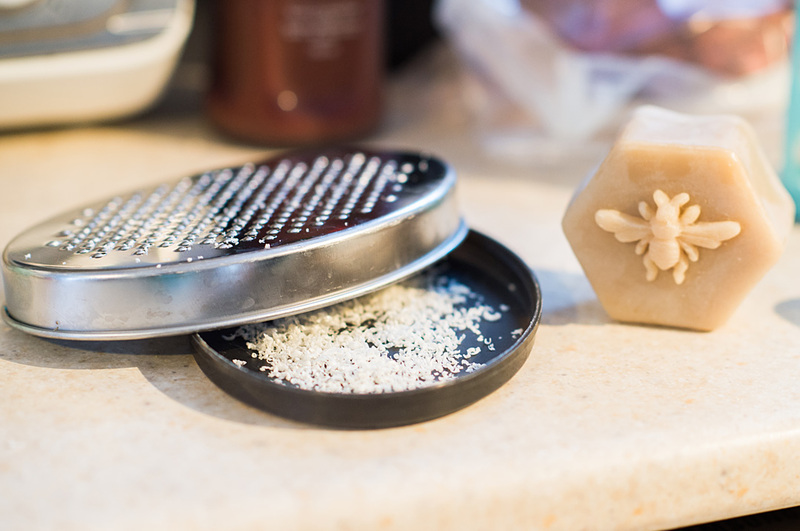 While the water is boiling, measure out your cocoa/shea butter, coconut oil, avocado oil, and grate your beeswax and add that all into your glass jar. 2) Place the glass jar full of ingredients into the small pot of boiling water, effectively creating a simple double boiler. Reduce the temperature to medium, and stir as needed until all ingredients melt down into a liquid. 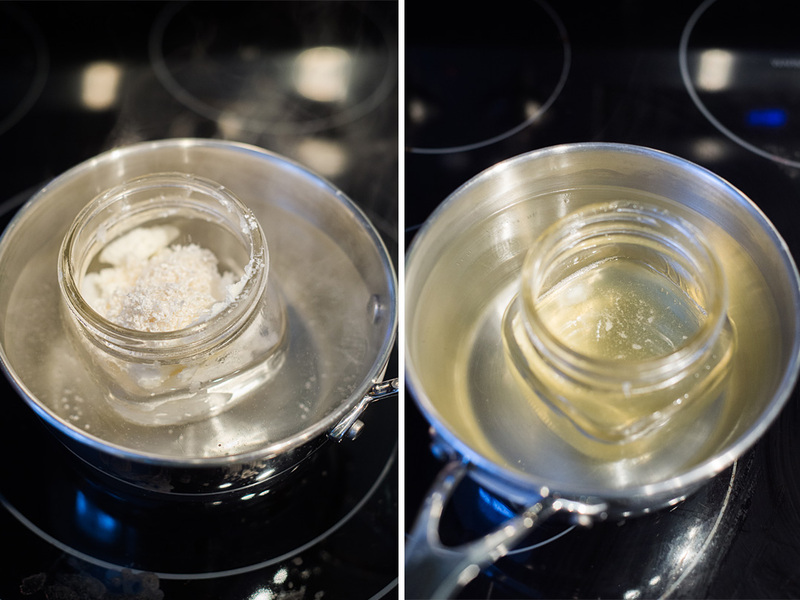 3) Safely remove the glass jar from heat and wait until it is warm rather than hot. 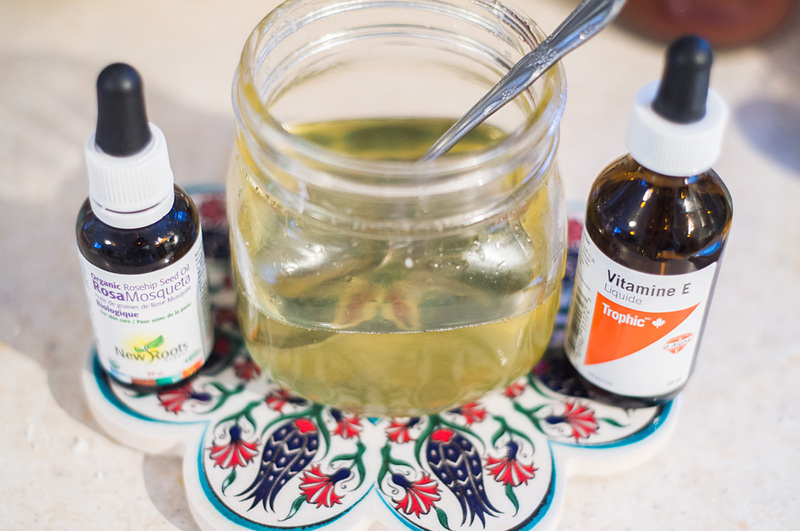 When warm, add in your vitamin e oil and rosehip seed oil. Stir together and then transfer the whole blend into a mixing bowl. 4) Once in the mixing bowl, and ensuring contents are not hot to the touch, add in all selected essential oils. Set bowl aside to reach room temperature, or if you are impatient like me, put mixing bowl in the fridge for the contents to harden up. 5) After your mix has hardened up a bit, use your mixer to whip all the ingredients together. Once done, your blend should be close to white in colour and be very creamy looking. If it's still runny, it likely wasn't hard enough/cool enough when you started mixing. No worries, just let the mix set longer or pop it back in the fridge for another 10 minutes and whip it again once it hardens. 6) Once contents are whipped to your satisfaction, your recipe is done! Add it to your desired storage jar and use right away! 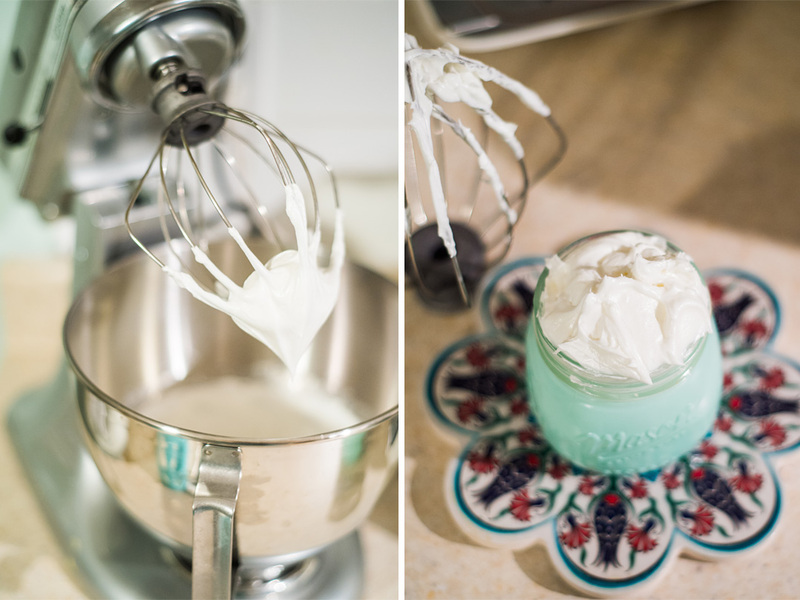 The mix will harden again in your jar but it will still be much softer to use than having not whipped it all together. Enjoy!! Cheers to soft, healthy, happy skin!